Job openings rose to a record high in April, while both the number of hires and separations was lower. The Bureau of Labor Statistics (BLS) reports there were 6.044 million openings on the final day of the month, up 259,000 from the upwardly revised 5.783 million the month before for a job openings rate of 4.0%. The number of job openings in the private sector was up by 220,000, while government openings rose by 39,000. The accommodation and food services industry saw an openings-increase of 118,000, while durable goods manufacturing saw a loss of 30,000. 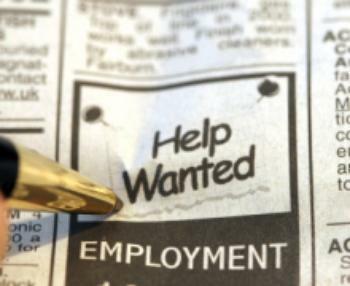 The number of job openings increased in the Midwest and Northeast regions. Hires fell by 253,000 in April to 5.051 million from 5.304 million in March, with the hires rate dropping to 3.5% from 3.6%. Total private sector hiring was down 257,000, and was little changed for government. Decreases were registered in health care and social assistance (-68,000) and real estate and rental and leasing (-23,000). Hires were down in the West region. Total separations, which include quits (usually voluntary separations initiated by the employee), layoffs and discharges, and other separations, are referred to as turnover. The number of total separations slipped by 225,000 to 4.973 million (-225,000) for a separations rate of 3.4%. Total separations were down by 239,000 in the private sector, led by retail trade (-100,000), while little changed for government, with the number of total separations remaining steady in all four regions. A change in net employment results from the relationship between hires and separations. When there are more hires that separations, employment rises, even if the hires level is steady or declining. On the other hand, when the number of hires is less than the number of separations, employment declines, even if the hires level is steady or rising. Over the 12 months ending in April, hires totaled 62.9 million and separations totaled 60.7 million, for a net employment gain of 2.2 million. These totals include workers who may have been hired and separated more than once during the year.